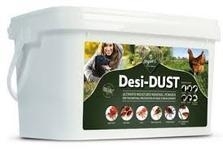 Organic Cluster Fly Killing Powder kills cluster flies in an natural and eco friendly way. This product is made of the crushed, fossilized remains of tiny aquatic organisms called diatoms. When a cluster fly comes into contact with this powder, the protective surface oil on the flies exoskeleton is stripped. The cluster flies then quickly dehydrate and die.